Cramer & Anderson LLP takes pride in welcoming our newest Associate Attorney, Lisa M. Rivas, Esq. to the firm. Lisa will continue to focus her practice in the area of Immigration Law including removal proceedings, asylum interviews, family petitions, employment petitions, National Visa Center processing and Consular processing. Rivas will also work on several litigation matters and other practice areas within the firm. 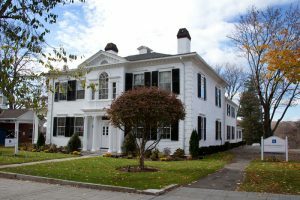 Since her admission to the Connecticut and New Jersey bar, Rivas worked at a small law firm in Hartford, Connecticut. It is there that she began to develop her knowledge in the Immigration Field. Attending interviews and court appearances in New York, Boston, New Jersey and Connecticut, Rivas gained more experience and grew to love this field. Rivas has represented clients throughout the world, primarily in Latin America and the Caribbean. Lisa is a member of the Connecticut Bar Association and the American Immigration Lawyers’ Association. She is also an active member in her community. Rivas is a volunteer at the Multicultural Center of Danbury and teaches a Citizenship Course to those preparing to take the next step towards achieving US citizenship. Rivas is also a member of the Selection Committee for the Latino Scholarship Fund and actively participates in the interviewing and selection process for scholarship recipients.